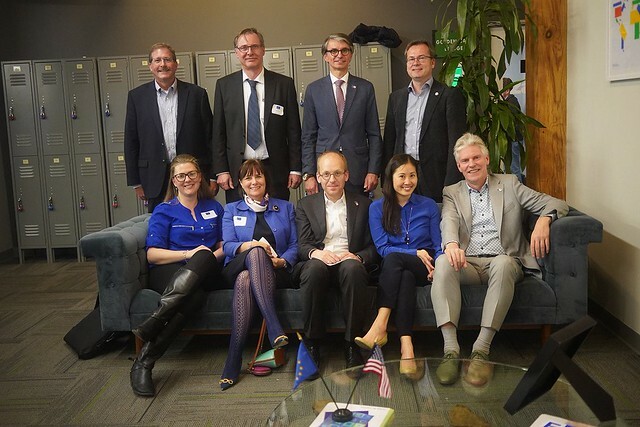 On 28 March, the European Union Delegation to the US in partnership with the European Institute of Innovation and Technology (EIT) and Open Austria, and with special support of EIT Digital, organised a transatlantic conversation on the technological and social impact of Artificial Intelligence in future products and services. Speakers and participants gathered in San Francisco to discuss current trends in AI technology, expectations for how far AI will go in the coming years, and what ethical limits should be considered, and finally the role of data and data privacy in the growth of AI. EDITOR'S NOTE: The article below first appeared on March 31, 2019 on SmartUp.Life. We would like to thank Susanna Camp for allowing us to use it in this context. The event came full circle with the contributions of Willem Jonker, CEO of the European Institute of Innovation and Technology's Digital Innovation Community EIT Digital, a pan-European, decentralized open innovation organization that’s been training the international workforce through EIT Digital’s MOOCs (serving hundreds of thousands of students) as well as full-fledged masters and PhD programs in data science, autonomous systems and other AI-related fields.